Companies must take control of their own brand message and use their own media to do so when possible. 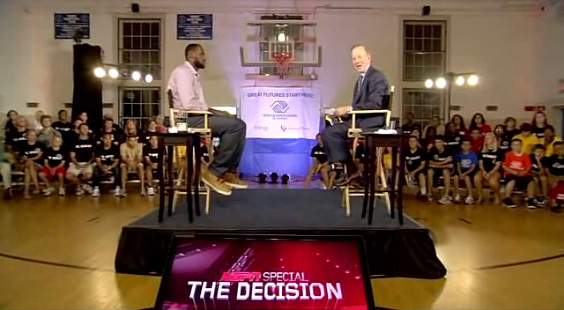 LeBron James’ control of ESPN’s own show, to announce his jump from the Cleveland Cavaliers to the Miami Heat NBA Franchise, was as strong of an in-your-face illustration of the point as you can make. brand like LeBron did on a local, regional, national, or industry level. only deliver the news, they can bring the eyeballs to watch the announcement. complain except the purist–and that cat is out of the bag. case studies to guests who visit their Web site at http://www.DicksNantonAgency.com.